That's because mortgage rates are tied to the 10-year note. When its yield goes up, so do mortgage rates. 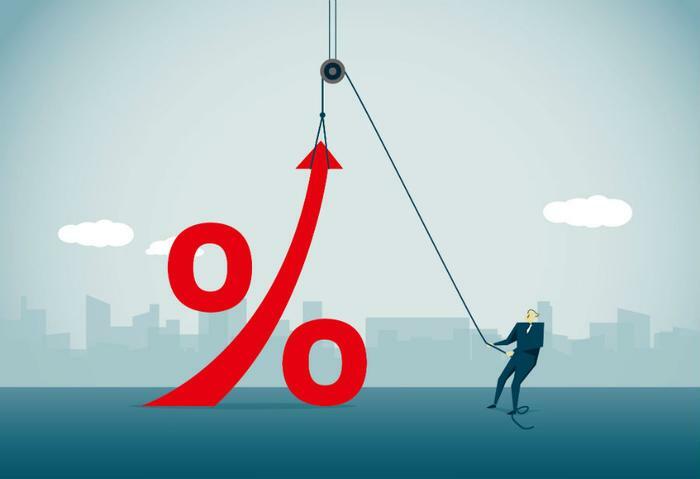 The Mortgage Bankers Association (MBA) reports the 30-year fixed rate mortgage rate averaged 4.88 percent last week, the highest since 2011. That's still low by historical standards, but since the financial crisis a decade ago, mortgage rates have bounced between 3 percent and 4 percent. When the mortgage rate is 5 percent or more -- a normal rate during the housing boom -- consumers face a higher monthly payment for the same house they could have purchased with a 3 percent mortgage. Unfortunately, that's not the only loan that's becoming more costly. The Federal Reserve continues on its path of gradually raising the federal funds rate -- the rate it charges member banks. Those increases get passed along to consumers who carry a credit card balance. The average credit card rate is already at a record high and will go up each time the Fed hikes rates. The credit bureau TransUnion estimates that affects about 92 million consumers who carry credit card balances and will create a financial hardship for 9 million of them. Auto loans are also influenced by the federal funds rate, as are just about all loans consumers get from a bank. With the Fed's tightening policy, the monthly payment on new and used cars will get more expensive. What's it mean for consumers? If you've begun shopping for a house, you might have to lower the price range in which you're looking. If you're selling a home, you might need to be flexible on the price. If you're thinking about buying a new car, it might pay to consider a late model used car. And interest rates are likely to move higher before they go down again. The Fed meets next week and is expected to hike its key interest rate for the third time this year.